Some people stand out in the Biblical record. In the Old Covenant, David seems first among worshipers, Moses as leader and law-giver, Joshua as general, and Isaiah as wordsmith. In the New Covenant, Paul stands out for many reasons. Not the least of these is prayer. Sometimes we get so caught up in trying get our minds around what Paul wrote and the missionary/pastoral example he set for us, it is easy to look past the simple, single factor of his life that make him a great man—the life of prayer. 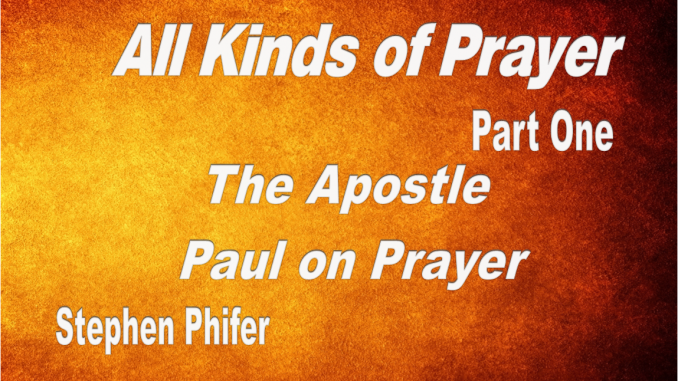 These commentaries reflect the broad nature of Paul’s first century prayer paradigm. As stated above, prayer is many things: confession of sin, petition for mercy, and thanksgivings. At least three times, he differentiates between prayers in general and prayers of petition. Paul says “prayers and requests” in Ephesians 6. He writes “in everything, by prayer and petition, with thanksgiving, present your requests to God” in Philippians 4. In 1Timothy 2, he insists that “requests, prayers, intercession and thanksgiving be made for everyone.” These passages indicate that in Paul’s teachings, prayer is much more than asking God for things. “giving of thanks” help us expand our definition of prayer beyond petition. To understand Paul’s theology of prayer, we must place it within the larger context of his theology of the church and the new covenant itself. Gordon Fee says this about Paul’s theology, “One of the primary issues in Pauline theology is continuity and discontinuity between the old covenant and the new.” (Fee, Paul, the Spirit, 3) Thus we find in Paul an excellent guide to help us see how new covenant prayer grew out of the old covenant prayer. Paul’s view of the church is central. According to Fee, the Apostle sees the church as existing “between the times” of the Lord’s first and second comings. He calls this the “already but not yet” character of Christian living. God’s people are citizens of the future Kingdom of God living in the present world. We are saved and we are being saved. We have the Spirit’s power housed within the earthen vessels of our human weakness. We live in what Fee calls the “dynamic center,” balanced between our weakness (not in the sense of harboring secret or besetting sins, but in the sense that we are fallen human beings who are being conformed to the image of Christ) and the unlimited power of the Holy Spirit. 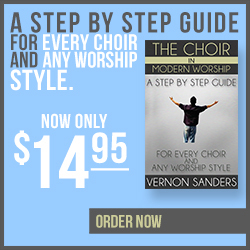 This eschatological view of the church sheds light on the spirituality of the new covenant. How is it like the old covenant? New covenant prayer is rooted in scripture, is heartfelt, and springs from faith in God. How is it different? New covenant prayer flows from a Calvary-cleansed heart and is empowered by the abiding Holy Spirit. In these details of continuity and discontinuity, Paul sees the ministry of the Holy Spirit as the essential and empowering element of church life and ministry. Therefore, these two things: the urgency of the end-times and the power of the Spirit, shape the theology and the prayers of Paul. ( Fee, Paul, the Spirit, 6) This exhortation to the Romans, filled with already/but not yet perspectives, expresses Paul’s paradigm, “Be joyful in hope, patient in affliction, faithful in prayer.” (Rom. 12:12) Joyous hope of the promised future empowers faithfulness in prayer each day. Paul also taught and modeled prayer. Paul prayed the way he had always prayed, the way he had learned to pray as a faithful Jew, except that now he prayed from a forgiven heart to his forgiving Father in the name of his atoning Lord and by the power of the in-dwelling Holy Spirit. If we could interview the Apostle today asking the same questions every interviewer might ask, how would he answer? Paul, could you tell us the secret of your success? Is it your education? Your Eloquence? Your political savvy? What words of advice would you give today’s pastors and all the people of God? When I came to you, brothers, I did not come with eloquence or superior wisdom as I proclaimed to you the testimony about God. For I resolved to know nothing while I was with you except Jesus Christ and him crucified. I came to you in weakness and fear, and with much trembling. My message and my preaching were not with wise and persuasive words, but with a demonstration of the Spirit’s power, so that your faith might not rest on men’s wisdom, but on God’s power (1 Cor 2:1-5 NIV). Here is my advice, Devote yourselves to prayer, being watchful and thankful. Pray in the Spirit on all occasions with all kinds of prayers and requests. Be joyful always; pray continually; give thanks in all circumstances, for this is God’s will for you in Christ Jesus (Col 4:2; Eph 6:18; Thess 5:16-18).